Welcome to Advent of Ascension! Advent of Ascension is a massive exploration and RPG mod designed with the purpose of fleshing out every area of game as much as possible. From the moment you drop the mod into your world, you'll find so many new things to do you won't even know where to begin! I looked at this and shouted WHAT!? WHAT!?!? WHAT!?!? I been waiting for this mod to come to 1.12.2 forever! Thank you so much for it!! Mod AoA y mod ender io son incompatibles, podrías solucionarlo? Que es el problema? Hay un crash? Verás, al poner el mod AoA el Minecraft se crashea por problemas de incompatibilidad con el mod ender io. Por favor, agrega el reporto de crash aqui. ¿Quieres decir que ningún otro enemigo está vivo? ¿Ocurre cuando juegas sin otros mods? If you do not have any intention of making a profit - then why charge any "emeralds" at all? Why not make it free? To be clear, I think Netease has absolutely disgusting usage policies, and I do NOT support them at all. However I am open to discussion on this, but I want to know why you'd charge any emeralds at all. Additionally, how does one go about getting a mod added to netease's library? Ok, then I will just make it total free. I thought AOA2 is at the price of 100 emerald, but I checked it up again and found it free. Mods transfered to Netease usually cost 0~500 emeralds to get. My first intention is that a rich-content mod like Nevermine or Twilight-forest should have a cost to let players feel "this is worth paying something", but I don't really care about that cost, as I don't really need those emeralds. A Netease MC developer account at https://mcdev.webapp.163.com/#/login is required. Log in with that acount, fill in information about the mod (like game version, client-or-server, PC-or-PE, brief introduction), zip it as the format required. It will emerge in the mod store as described soon. I have not uploaded other mods before, that's what I speculated at reading their rules and other mods. If you want to register an account and upload it yourself, it's possible. However you will probably have to read the Chinese website, provide Chinese identity and bank-card information, and suffer from maybe-bad connections abroad, which can be quite bothering for a non-Chinese. You can post it if you make it free. There's no reason to charge emeralds for it at all. Thank you so much for sharing your mod. It could be understood that because the client version is so different, support are hard to give. That guy named taoismdeeplake is a stranger whom everyone haven't recognized, we were having a discussion about this yesterday in Chinese wiki translating Team, not worthy of believing. You should trust SagvinXC who is Chinese wiki patroller, and alsoly Netease Minecraft developer. Ok, I'm the SagvinXC in Gamepedia, this is my curseforge account. I can also post it on Netease and I'll promise to charge nothing for this mod, even though the emeralds of that is just something free. (Unlike Diamond, they're daily award) ,and I can keep the update progression for it. As Angrydog001 says, we indeed don't know that guy. I am also a developer of Netease Edition, and I think I can also be competent for this mission. We can have a discussion about it. If the mod developer team cancel the authorization of my part, I accept and have no other choice. I totally understand that you see me as a passer-by, since I'm just a random MC player who is not active on any forums. Whether your team or me get the authorization, Me and other Netease players will get AOA3 to enjoy just the same. 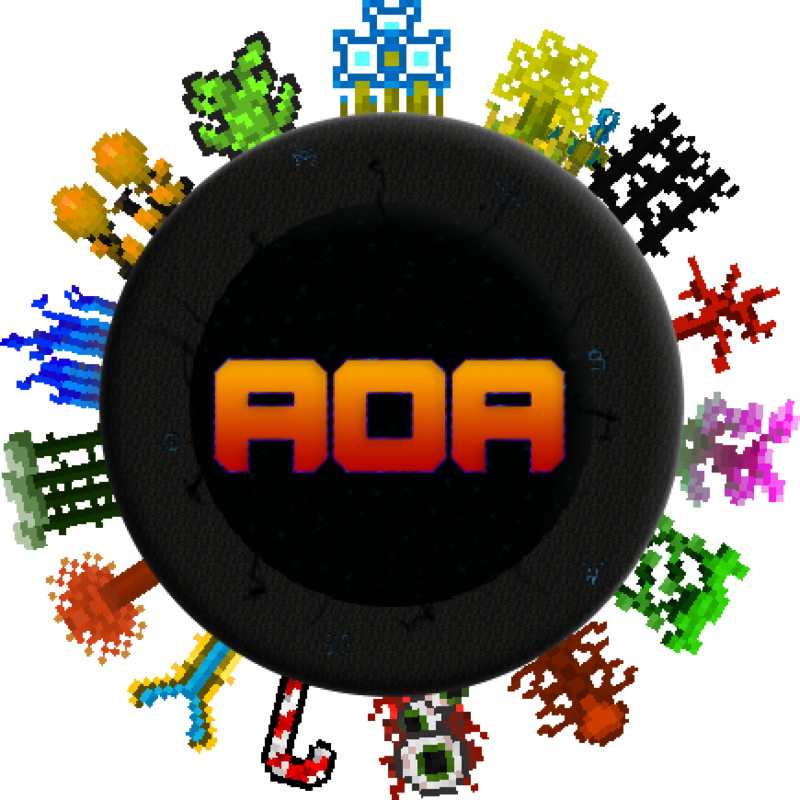 Both possibilities meet my original purpose - to play AOA3 after my AOA2 server, and bring it to others along the way.